I love watercolor. After working exclusively in this medium for over 25 years, teaching brings a unique joy, sharing my knowledge and watching my students progress and discover. My approach may differ from other teachers, but my goal is always the same…helping my students find their own style and voice using the methods I impart. Teaching what I know is sheer pleasure for me. I thoroughly enjoy it and get as much as I give. My experience as Artist in Residence on Holland America Cruise Line gave me the unique opportunity to teach absolute beginners in a relaxed atmosphere. For the intermediate or experienced student, I teach during season at the Studio of Key West. Please check their catalogue for dates/times/prices. I also offer private lessons for people coming to Key West for vacation. I offer classes one-on-one or for groups up to six. 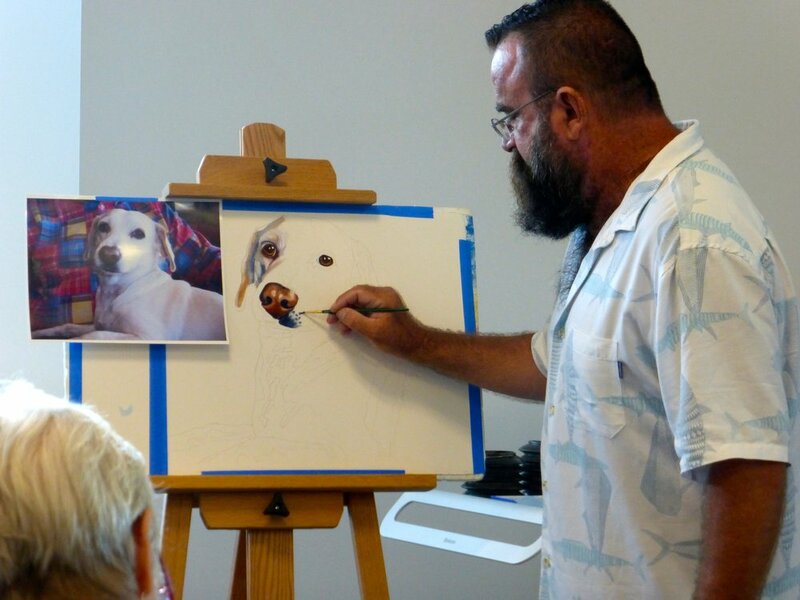 I also offer workshops here in Key West or around the country. I’ve taught in San Diego, CA, all over Vermont, and Rehoboth Beach, DE., Watercolors on the water on Holland America. These are intensive sessions, 2 to 3 eight-hour days in length with up to 20 people attending. The subject, time, price, and other details are worked out with the workshop coordinator. For any of the options, please contact me via email or phone (see contact page) to discuss what works for us both.